Brewing all styles of real ale near Alton Hampshire since 1997. 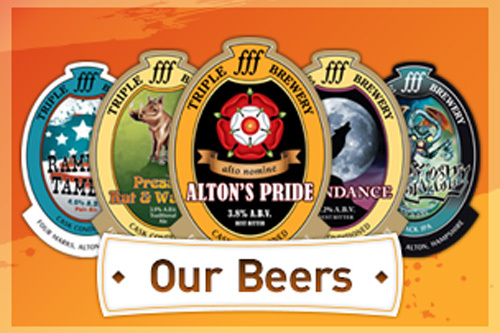 We brew the Camra Supreme Champion Beer of Britain, Alton's Pride along with Moondance Pressed Rat & Warthog and Citra Sonic. 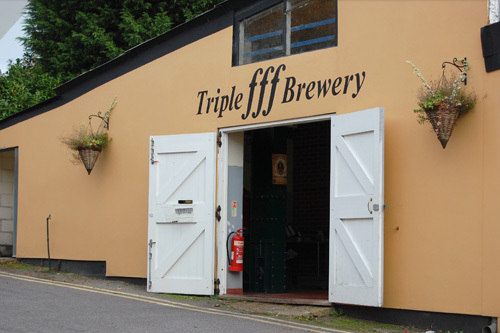 Triple fff launched in 1997 by Graham Trott, a cabinet maker by trade who was a keen home brewer. He installed a 5 barrel plant (20 casks) in one of the units vacated by the now closed furniture factory on Station Approach in the village of Four Marks. The station still operates on the steam heritage Watercress Line which runs ten miles between Alton and Alresford.